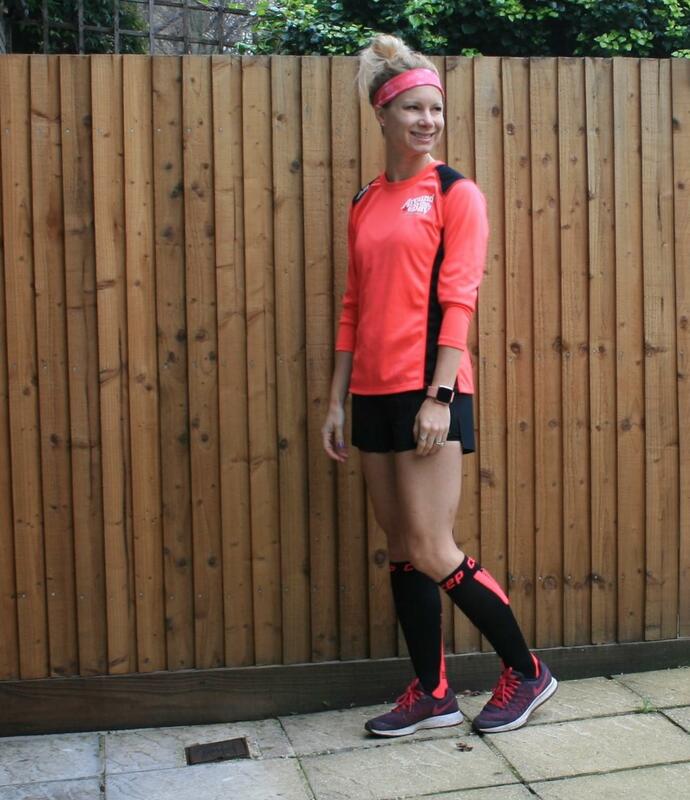 Why Do Runners Wear Compression Socks? At the National Running Show way back in January, I had the chance to meet Paula Radcliffe, the fastest female marathoner of all time. In our brief conversation, one of the things she recommended buying for better running performance was compression socks. And when Paula Radcliffe tells you to do something, you do it. So, I promptly trotted off and bought myself a pair of CEP compression socks. They then sat in the box for more than three months. I don’t know why it took me so long to try them. I think it was partly because I wasn’t sure how to wear them with long leggings…. Do they go under? Over? I don’t know. Endorsed by Paula Radcliffe and with strong supporting evidence, I am now convinced that compression socks are magical. So why do runners wear them anyway? I honestly had no idea other than they looked cool. My only association with compression socks were the ones they sometimes give you on airplanes and some vague association with veins and circulatory system issues. So, I did a little homework. 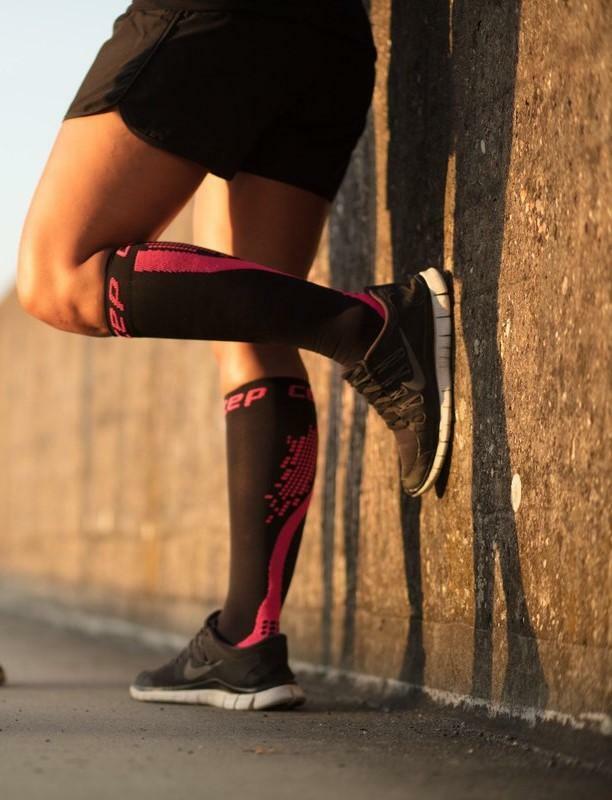 The general theory behind compression socks is that they help increase oxygen delivery to muscles, improve blood circulation to the heart and speed up the removal of lactic acid. All of this can help reduce soreness and improve leg power. 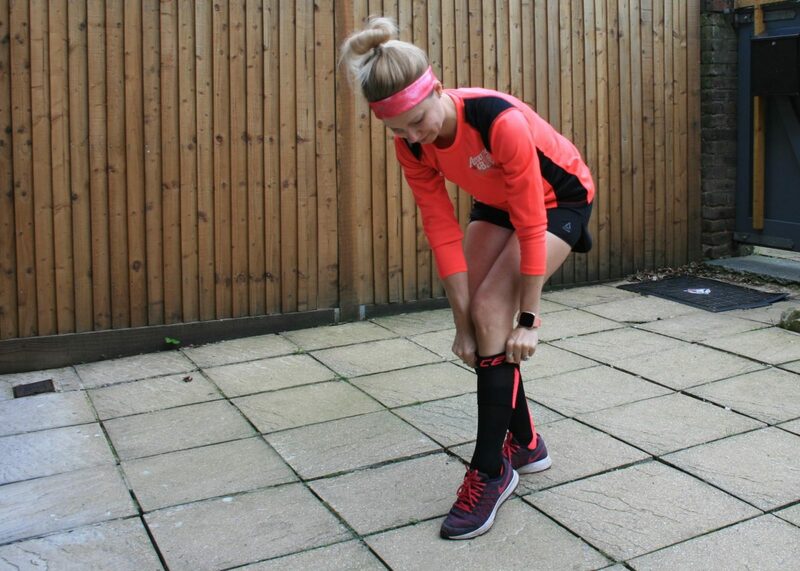 While the results of research on compression gear is mixed, the general consensus among runners is that compression socks help alleviate soreness both during and more importantly, after a run. Recovery appears to be faster because compression socks help limit swelling in your ankles and feet. I took mine out again today for a longer 10km run and felt perfectly fine throughout even though this was my longest run in many weeks. The socks are usually knee-high and very tight. The pressure makes the blood vessels work better. This makes it easier for arteries to take blood to your muscles and when blood is flowing freely, everyone is happy. Well, if you’re like me, you just pick a colour scheme that matches your other running attire. But ideally, you should measure your calves for the right sizing. The socks should be very tight, but not painful and they should fit smoothly with no bunching or wrinkled material. Most places will let you try them on before you buy them. I have a 10km race next weekend, so I’ll be testing them out again. I’m targeting a sub-50 finish and hoping these socks will be the secret sauce!